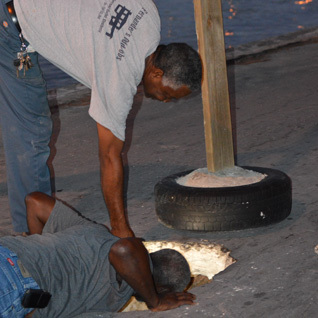 (Eleuthera, Bahamas) – Road blocks were erected by concerned residents in Governor’s Harbour during the late afternoon on Friday, January 2nd, after the discovery of a dangerous sink hole in the middle of the road, along the bay front of the township. Residents who were gathered at the site of the sink hole shortly after 5:30 pm could not say when the sinkhole had appeared, but, for the safety of the motoring public, the roadblocks had been erected and are expected to remain until the relevant authorities responsible are able to repair the dangerous hole. One community leader, described the hole as being as much as four feet deep in one section and about 8 feet long underneath the road (measurements not verified). 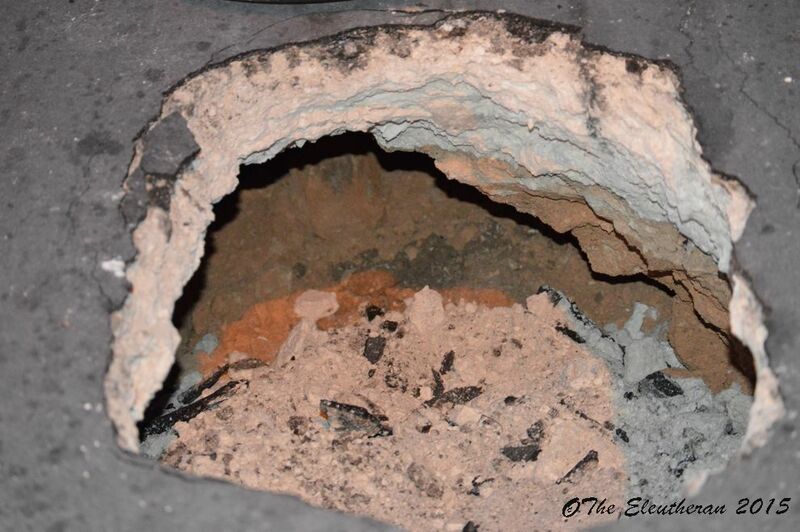 The opening of the hole was also approximated at about three feet in width. A tall marker was placed at the site of the sinkhole, and roadblocks were placed at both the eastern entrance of the bay front road, opposite Da Perk, as well as the western entrance near the t-junction in front of the Administrative Complex.